Early retirement is the dream, right? It’d go something like this: “You, co-workers, thought you had to deal with me for another seven years. Psyyyyych!” Then you’d speed out of the parking lot in your RV with Fluffy riding shotgun, off to a new adventure. OK, so you might handle the situation a bit more gracefully than that, but you get the point: Retiring early could be pretty awesome. However, shaving off even one or two years from your retirement age might seem impossible at times. But don’t fret: We’ve got a few simple steps you can take at the end of each month to reach your early retirement goal sooner. You’ll need to jumpstart your finances by taking care of the debt you’re already sitting on. If you want to figure out a better solution, consider consolidating or refinancing your debt to slash those rates. A solid resource is consumer financial technology platform Fiona. It’ll allow you to shop around for different rates and even help match you to the personal loan that best benefits you. Rates start at 4.99%, and repayment plans range from 24 to 84 months. Getting on the road to paying off those debts at a faster rate could bring retirement a little closer to reality. Just as you can refinance your personal debt, you can refinance your stagnant student loan debt, too. For this, consider Credible’s student loan refinancing program. Here you can compare various options from its lending partners, so you’ll be confident you’re getting the best rates. Here’s an example: We wrote about John DePrato, who was floundering in $65,000 of student debt. Each month, he funneled $850 toward the payments. He decided to do something about it, and refinanced through Credible. Now, he pays $400 a month. Not bad, huh? The process isn’t super difficult either. Now, you just need to make sure it’s doing what you need it to. However, tapping into that account and translating the information — or lack thereof — oftentimes proves difficult. There’s a robo-advisor for that. It’s called Blooom, and it’s an SEC-registered investment advisory firm that’ll optimize and monitor your 401(k) for you. Unfortunately, you won’t retire early by spending your whole paycheck the second you get it, unless you’ve got something magical up your sleeve. The best way to start saving is to allot money into a separate account each time you get your paycheck. You can automate this, too, so you don’t even have to see what you’re missing. If you’re not ready to dive into the world of IRAs or high-yield savings accounts just yet, start smaller. You can use a micro-investing app like Stash to pull as little as $5 out of your account at the end of each month. Any little bit is better than none. Stash invests the money for you. It’s a great way to start building a little nest egg, and once you feel comfortable with that, you can start looking at other options. You might think those monthly utility bills aren’t going anywhere; you’re just stuck with them. You’d be surprised by the ways you can cut back without doing much of anything. Start with Trim, your own little virtual personal assistant. Trim will negotiate your cable and internet bills for you — so you don’t have to sit on hold for hours. Check your credit on a free app like Credit Sesame. You’ll get a free credit score and credit report, which you can review for signs of error, theft or fraud. You’ll also get personalized suggestions to help improve your credit score. Once you’ve taken care of these monthly tasks, sit down and start outlining a budget for (early) retirement. Nope, this won’t be perfect, and it’ll likely always be changing, but you can start simply with a retirement calculator. 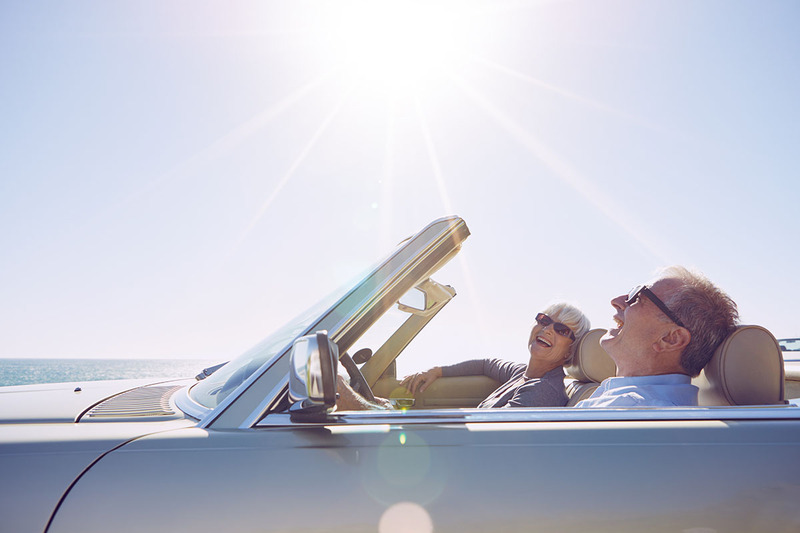 Set your goal retirement age, and figure out how you’re going to get there. If you want to retire early, take that into account. Now, keep tabs on this budget each month. It won’t be an easy process, but it’s a necessary one — and one you can fine tune as you go. Carson Kohler (@CarsonKohler) is a junior writer at The Penny Hoarder. She’s got big plans for retirement… which is 40 years away. Let’s just say she likes to plan ahead.